Something exciting happened this past week. My publisher sent me first pass pages, and I got my first glimpse of how Flashfall will look in book form. For the first time, my book baby is looking . . . bookish. I paged through eagerly, taking in every font choice and chapter heading. All those words I’ve written and scrutinized over the past year, suddenly looked different–more real somehow. The copyright page sort of took my breath away. This dream has been a long time in the works, and seeing my name there did something pretty fluttery to my heart. Surprisingly, this wasn’t the moment I teared up. Nor was it the title page or dedication. While reading the final two sentences of my manuscript, the words blurred unexpectedly, and my breath sort of stuttered. It hit me: this is it. My debut book is done. In just a few months, Flashfall will be out in the world. I can’t quite wrap my mind around that. SO MANY FEELS. But for now, I’m going to celebrate this moment, this first glimpse of it in book-like form. It feels a bit like I’ve hiked a steep path, and now I’ve got my feet propped on a ledge, taking in the view. If you are striving toward your own goals and dreams, I wish you moments like this–times you realize that all your hard work has led to something special. May you be able to enjoy the vistas along the way, buoyed by the conviction that the dedication, risks, and sacrifices have been worth it. Here’s a peek at page one. I’m going to be honest. I’m sick of reading my book. That probably doesn’t sound like a ringing endorsement for FLASHFALL, but that’s just where I’m at this stage of the editing process, now that I’ve read it eighteen million-billion times. Still. As much as I whittle away my edits into a mountain of sticky-notes, another voice rises up, louder than my writer’s voice. This is crap. This plot has too many holes. That doesn’t make sense. That’s cliché. The voice of the Doubt Monster. If you’ve ever written a book, or undertaken a creative endeavor, you’ve probably encountered your own. Get outside your own head. Sometimes, we are too close to the story to see when a character’s motivations are unclear or a plot development doesn’t make sense. Beta readers and critique partners are essential. Open yourself up to other people’s feedback. If you’re re-working a scene, and feel like it’s not working—run it by a couple (trusted) people. They can help re-assure you or re-direct you. By the time you’ve revised your manuscript that many times, it can be hard to see it objectively. Trust the process. It’s normal to weary of reading your book. That doesn’t mean it’s bad—it just means you’ve grown numb to all the discoveries that make books interesting. Also, by the time we get to multiple rounds of edits, we’re viewing our writing through hyper-critical lenses, focusing on the ‘problems’. Reading from that place is never fun. Commiserate with other writers. The authors in my debut group (The Sweet Sixteens) have gone through similar feelings, and just reading about their experiences makes me feel better. 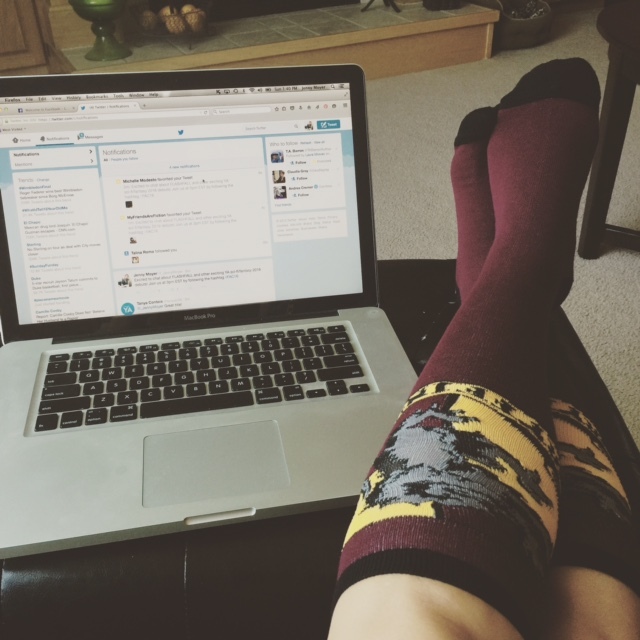 I love connecting with other writers on Twitter, too, and being able to share the challenges of writing and editing. So many times, they have great insights and perspectives to share. It’s reassuring, therapeutic, and usually enough to squash the doubt monster. Trick your brain. There have been studies that show how our brains ‘see’ printed and computer text differently. If your words are starting to blur together, print out your manuscript and work from the hard copy for bit. This helps me enormously—especially when I’m working through any big revisions. The other thing that helps me is a change of scenery. Try writing outside, or go to a coffee shop. Sometimes we just need to shake up our routine to get our focus back. Trust yourself. This is vital, because the best writing happens when we write from a place of confidence. Something inspired you to begin this journey—and the heart of that story is still there. Don’t get so caught up in the ‘problems’ you are fixing, that you lose sight of what the story’s about. Take a moment. Take a day. On a fresh page, write something entirely new. Or, approach a scene you’re revising from a new angle. Throw off all constraints and allow yourself to exercise and re-charge the artist part of your writer self. This is what I do when I stall out in my writing, (staring at blank walls, anyone?) or if my writing becomes stale and the characters or dialogue flat. 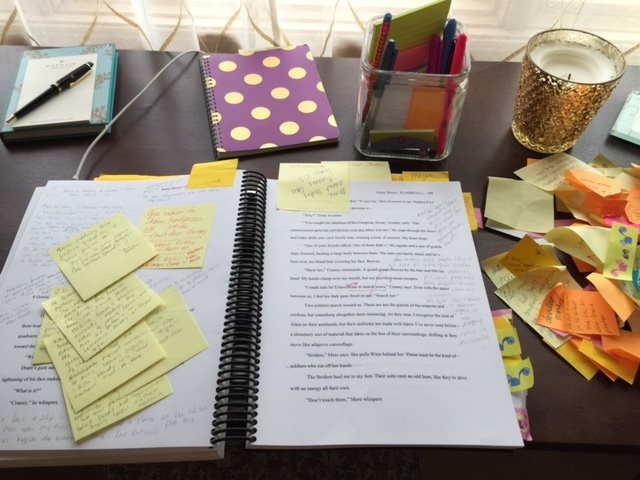 It seems counter-productive to ‘getting the revisions done’—especially when you’re on deadline, but these moments have actually led to some of my strongest scenes in FLASHFALL. Don’t be afraid to break it. Embrace the act of revision as an opportunity to re-envision a scene, character, or plot point. Sometimes we hold on so tightly to what we’ve written, that we don’t allow for the possibility of what something can be. For more about this, check out my post on Publishing Hub. Believe that you are capable of writing and re-writing your book to its fullest potential. It’s normal for the Doubt Monster to visit from time to time. Just don’t let it stay. Keep writing. Keep revising. You’ve got this! If you have any suggestions of your own, please post them in the comments! (Or tweet them at me: ) How do you overcome doubt? What helps you avoid ‘zombie brain’ when you’re revising? Please share! Sometimes, when I’m deep in the Revision Cave, I run into walls that make me lose perspective. I focus so hard on the challenges presented by an edit, that I lose sight of what revision truly is: opportunity. The push that makes us look harder at something, until we scratch away the surface and reveal a character for who they really are. The nudge that compels us to make the hard cuts so other scenes shine brighter, and the pacing of the whole book improves. 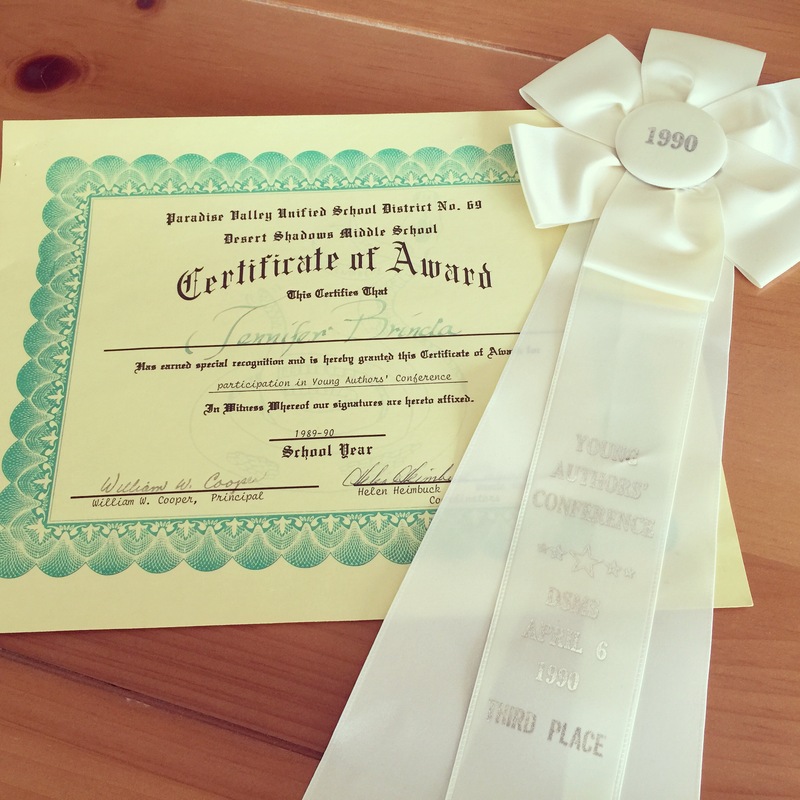 When I was in third grade, an author spoke to us fledgling writers at a Young Authors Conference. He said, “writing is re-writing.” I honestly had no idea what he meant at the time. Fast forward many years, and many books later, and I believed that I had gained a good understanding of that old adage. But if editing my debut novel has taught me anything, it’s that I had NO IDEA how deeply I’d need to explore the depths of my creative abilities to revise again and again and again. Sometimes, your editor (or agent or critique partner) may like your writing, but they push you to develop something ‘more.’ That is when you either bang your head against the wall, or you persevere, dig deep . . . and occasionally discover moments, or scenes, or elements that you didn’t know you had in you. The more that can take your story from good to great. A little over a year until FLASHFALL releases, and it’s really coming together during these final rounds of edits. It’s a book I will be proud to see on the shelf. But it’s not the same book my agent sold last fall. It’s been shaped and stretched into a story more richly layered, visceral, and compelling than I realized it could be from the ‘early days’. The bones were there, but now parts of it feel three-dimensional and ‘alive’ in ways it didn’t before. That is the beauty of revision. 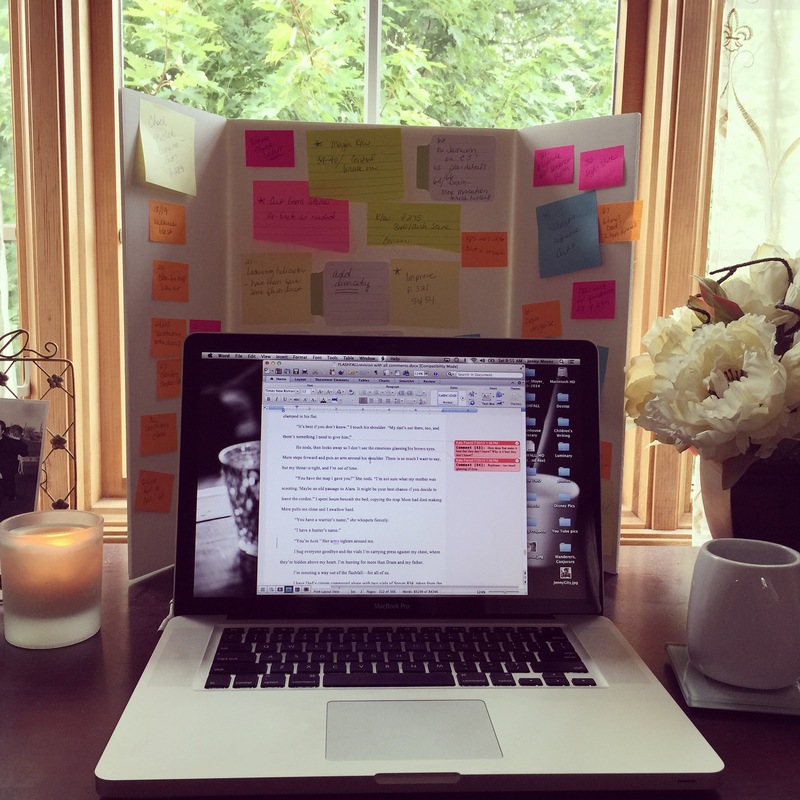 Writing is re-writing. And re-discovering. And re-imagining. Embrace the act of revision as an opportunity to re-envision a scene, character, or plot point. Then, once you’ve re-envisioned, have the courage to write something new. Sometimes we hold on so tightly to what we’ve written, that we don’t allow for the possibility of what something can be. For more about this, including some of the best creative advice I ever received, check out my post on Publishing Hub, Don’t Be Afraid To Break It. And, if you’re curious about my process, here’s a peek . . .
After months of waiting, I received my edit letter for FLASHFALL. Since then, I’ve been fully immersed in the Revision Cave. And since my book is about caving, this is more than a metaphor for me—I have literally been down some freakish caverns for the past few weeks! My FLASHFALL manuscript in the midst of structural revisions. Sticky-notes in the pile are completed edits! Every writer has a different process, and mine looks different depending on what stage of revisions I’m in. Since these are first round edits, they are more big idea, structural revisions. Some deal with plot points, shaping and pacing suggestions, and character and world-building development. My edit letter was seven pages long, and I took each one of Kate’s questions/thoughts and printed it on a card that then went on the Revision Board. This helps me keep my revision goals clear as I work through the manuscript and make sure to address each one. At this stage, there is a lot of what my agent calls ‘the thinking part of writing.’ When you remove a character or scenes, you have to work through how you’re going to ‘re-connect the dots’ plot-wise and in terms of a character’s arc. I like to explore a lot of this on paper (on a printed manuscript and with tons of sticky-notes) before I alter the actual manuscript on my laptop. Some writers are already working in Track Changes (Microsoft Word) with their editors at this point. I have only experienced that with line edits, and this process works well for me. After this, I’ll have a second round of revisions to make, followed by line edits, then eventually copyedits. During that time, I’ll probably start seeing some cover designs (EEEE!!) and I’ll continue to work steadily on BOOK TWO. More about all that as the process unfolds . . . If any of you are in Revision Caves of your own, hang in there! It’s daunting at times, but I’ve found that if you take it note by note, it feels less overwhelming. 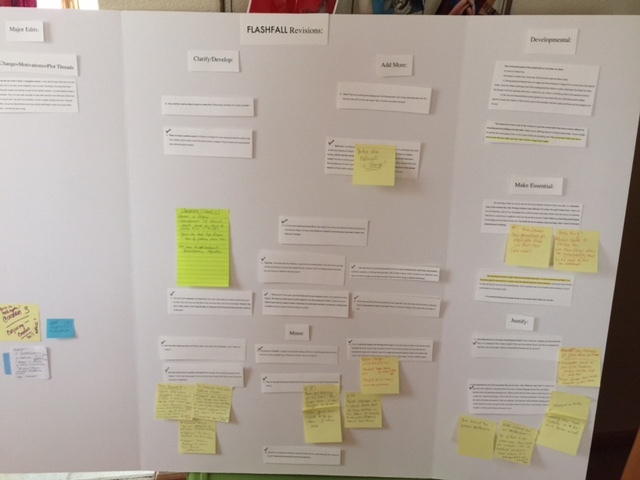 When I started a few weeks ago, I had over 200 post-it notes stuck to my manuscript and Revision Board. I pulled the last one off yesterday. It was an incredible feeling. But honestly, the best feeling is reading over a new scene that wasn’t there before and feeling the magic in the words, and knowing you were pushed to write something better, with more depth than you had originally. It’s all worth it. That’s my mantra during revisions. That, and–if you just finish one more you can have a piece of chocolate. If you need some encouragement, come say ‘hi’ on Twitter. You don’t have to be alone in the Cave. I have lots of chocolate in my little corner over here, and I totally share. To see a video of me in this process, click here.